After surviving a shooting at her high school, Linnea is packed off to live with her estranged father, Art, who doesn t quite understand how he has suddenly become responsible for raising a sullen adolescent girl. Art's neighbor, Christie, is a nurse distracted by an eccentric patient, Mrs. Foster, who has given Christie the reins to her Humanity Project, a bizarre and well-endowed charity fund. Just as mysteriously, no one seems to know where Conner, the Fosters handyman, goes after work, but he has become the one person Linnea can confide in, perhaps because his own home life is a war zone: his father has suffered an injury and become addicted to painkillers. As these characters and many more hurtle toward their fates, the Humanity Project is born: Can you indeed pay someone to be good? At what price? 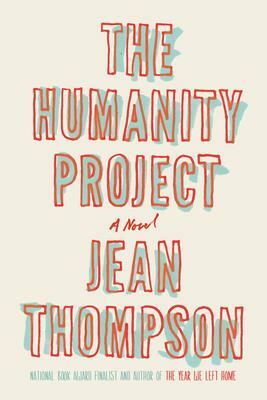 Thompson proves herself at the height of her powers in "The Humanity Project," crafting emotionally suspenseful and thoroughly entertaining characters, in which we inevitably see ourselves. Set against the backdrop of current events and cultural calamity, it is at once a multifaceted ensemble drama and a deftly observant story of our twenty-first-century society. Jean Thompson is the author of five previous novels, among them "The Year We Left Home," "City Boy" (a National Book Award finalist), and "Wide Blue Yonder"; and five story collections. She lives in Urbana, Illinois.